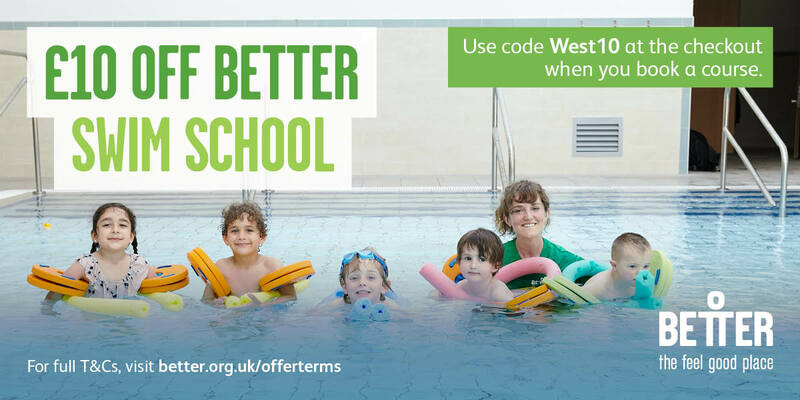 We have teamed up with Better Swim School to give our readers £10 off Better Swim School if you book before the end of March. Better Swim School are the largest provider of swimming lessons in the UK. Across the country, they help over 100,000 people learn to love the water and keep active, by becoming capable and confident swimmers. Better Swim School experienced, qualified teachers follow Swim England’s Learn to Swim Programme and they support all swimmers to progress and take the plunge, whatever their level of ability. Lessons are delivered on a rolling programme that allows pupils to join at any stage and progress at their own pace. For those who want to make waves quickly, one-to-one lessons are available, as well as intensive courses during the holidays. Lessons operate for 50 weeks of the year with a gap in lessons over the Christmas period. To take advantage of this fantastic offer just enter the code West10 at the checkout online.